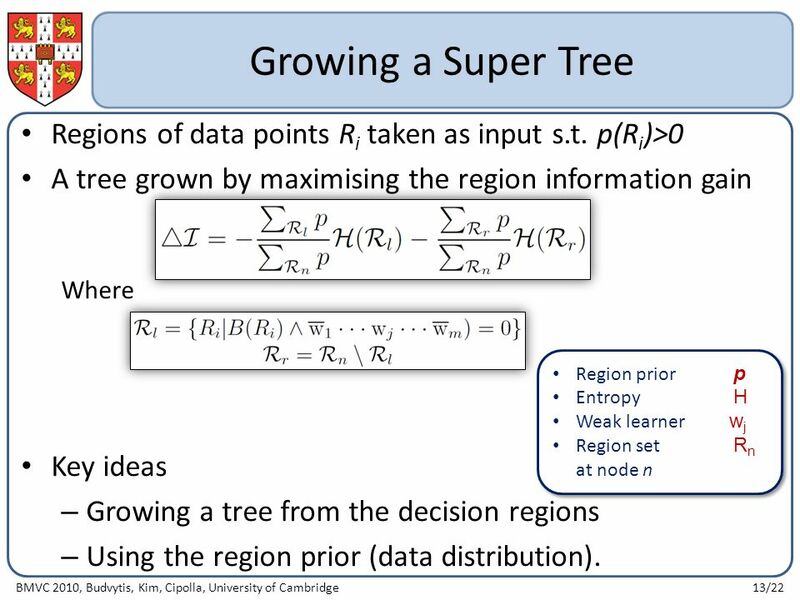 Ignas Budvytis*, Tae-Kyun Kim*, Roberto Cipolla * - indicates equal contribution Making a Shallow Network Deep: Growing a Tree from Decision Regions of. 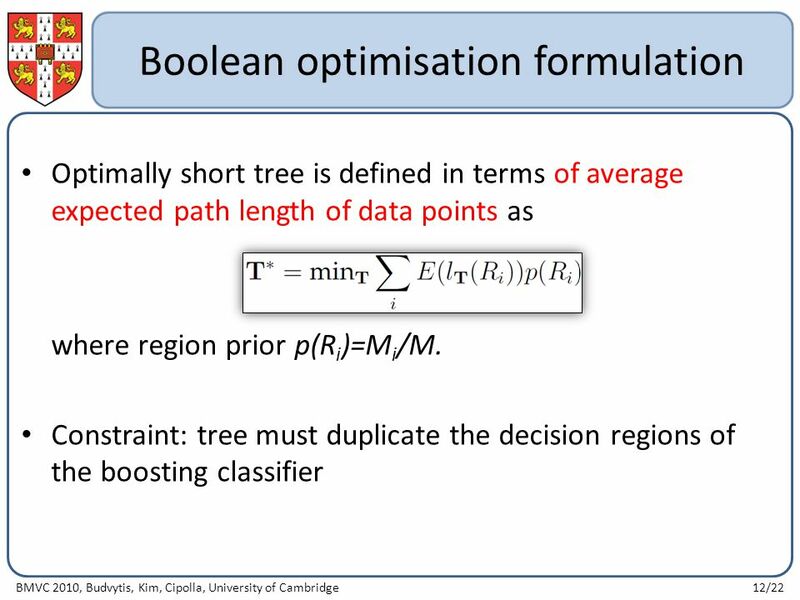 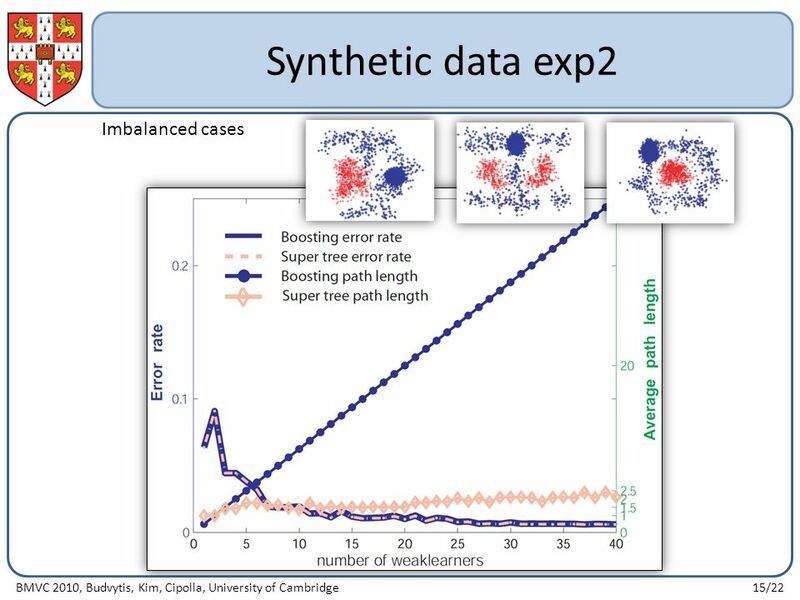 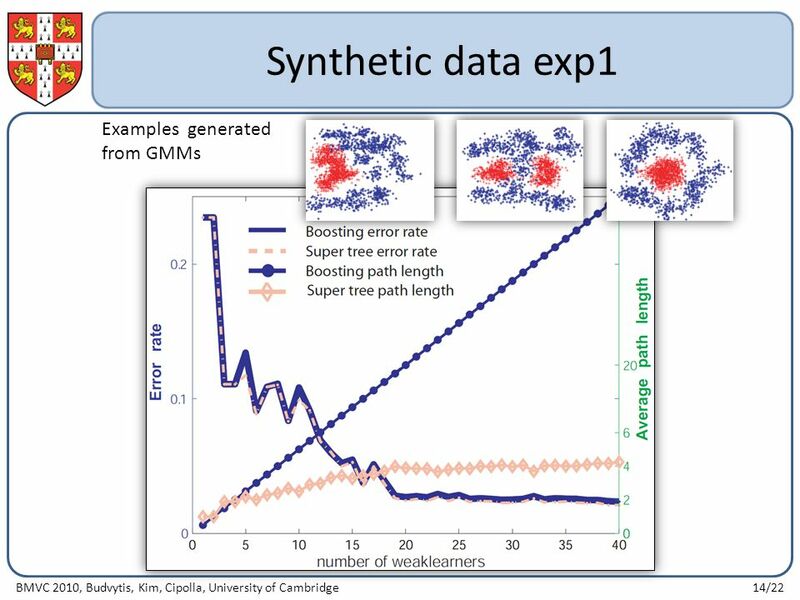 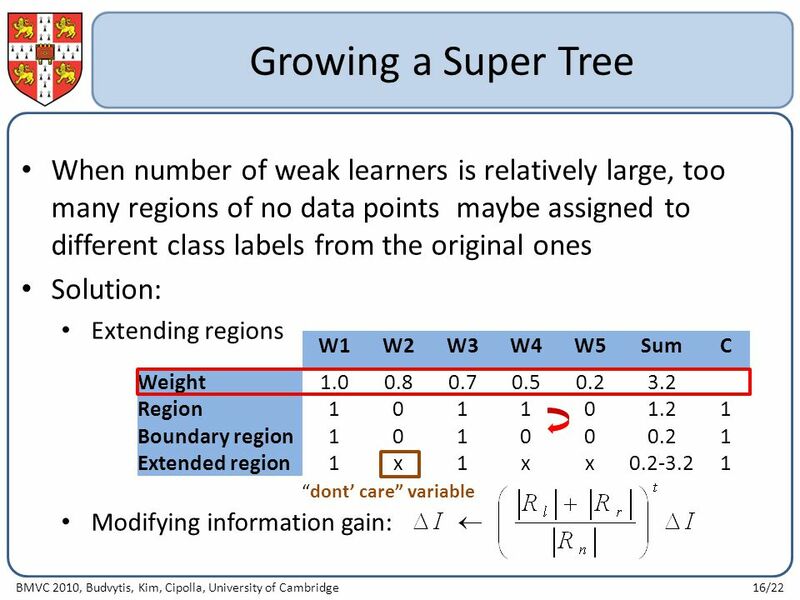 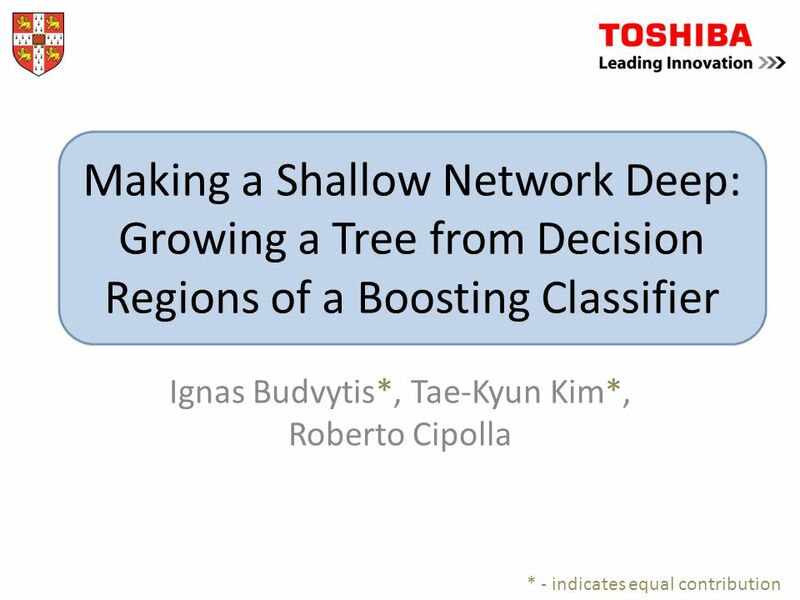 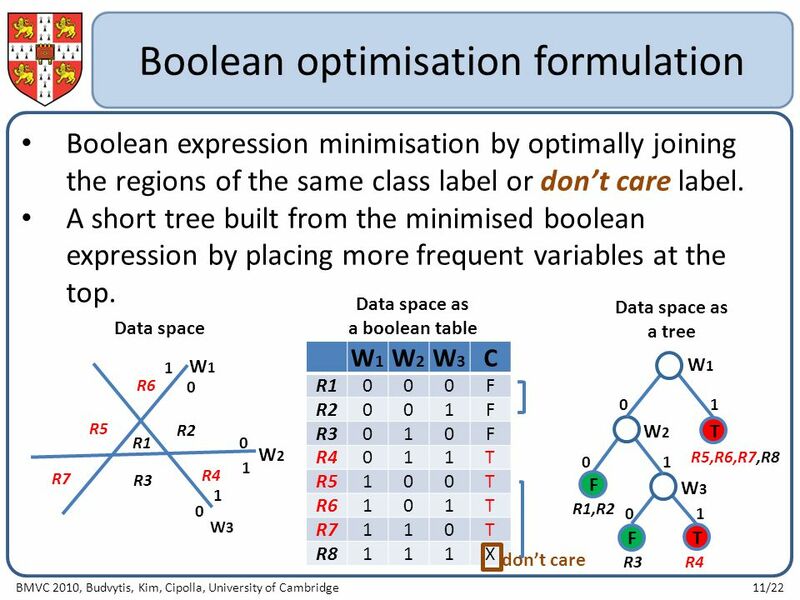 Download ppt "Ignas Budvytis*, Tae-Kyun Kim*, Roberto Cipolla * - indicates equal contribution Making a Shallow Network Deep: Growing a Tree from Decision Regions of." 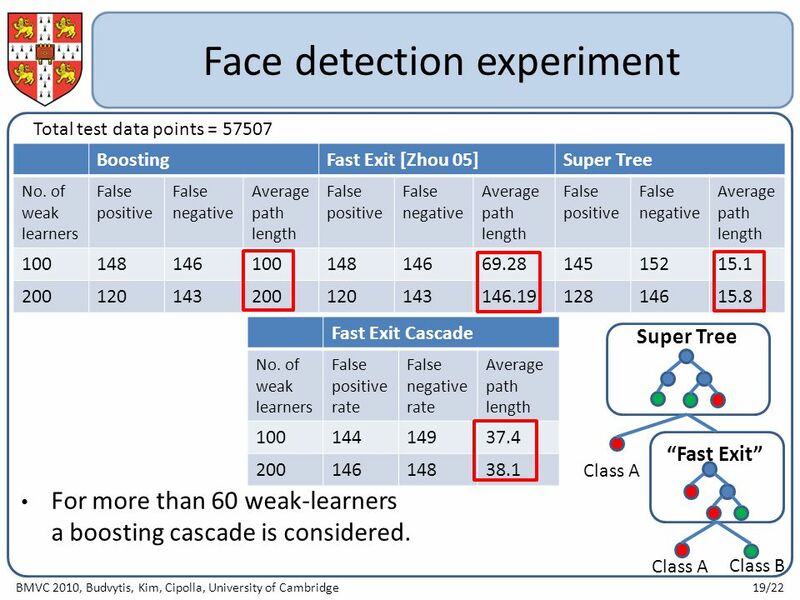 EE462 MLCV Lecture 5-6 Object Detection – Boosting Tae-Kyun Kim. 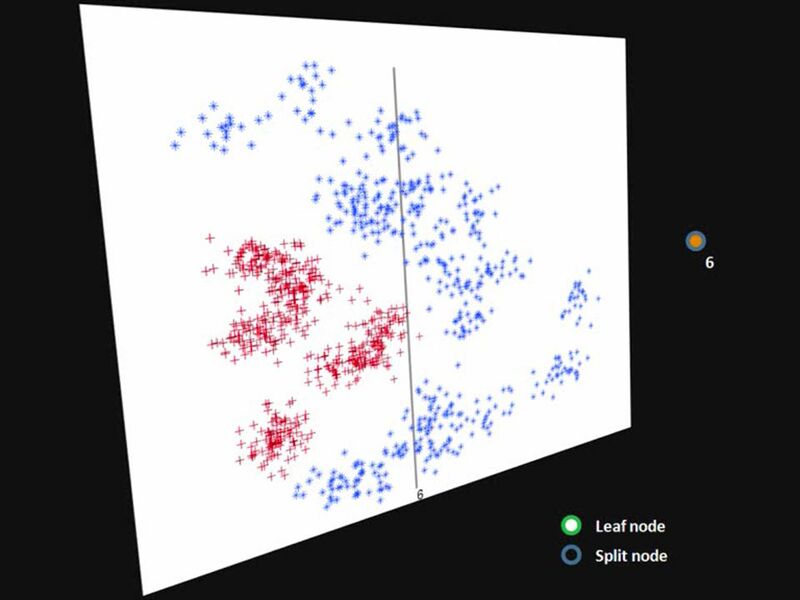 Foreground Focus: Finding Meaningful Features in Unlabeled Images Yong Jae Lee and Kristen Grauman University of Texas at Austin. 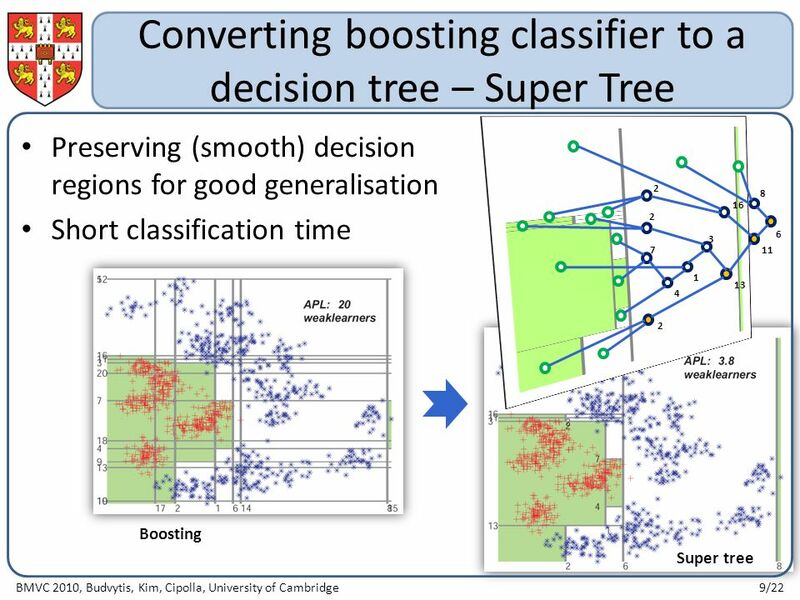 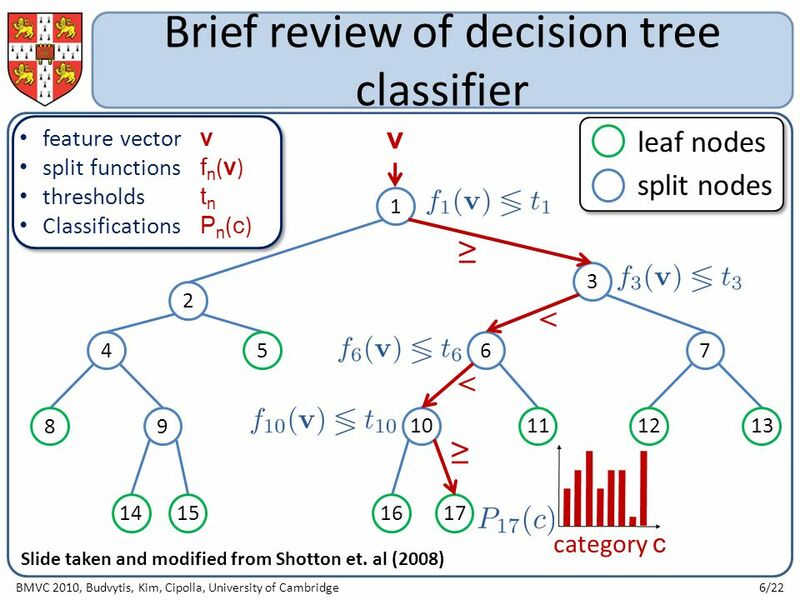 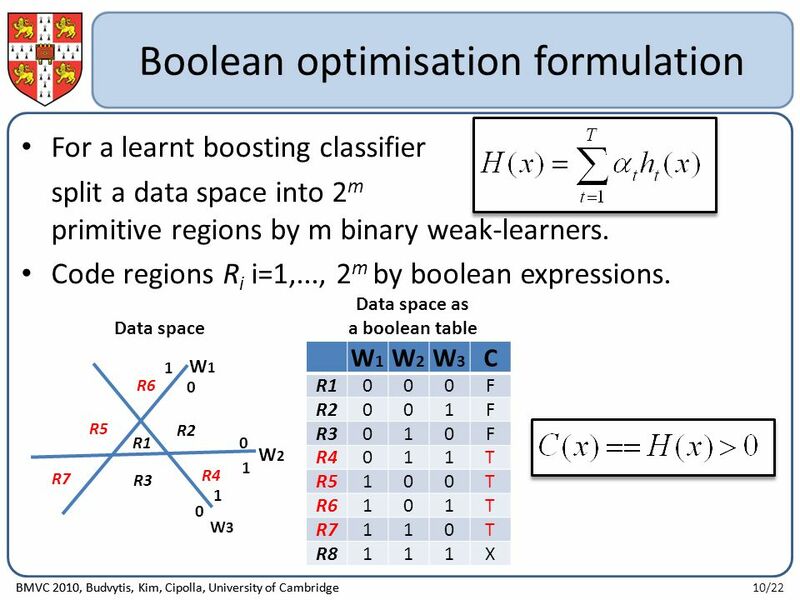 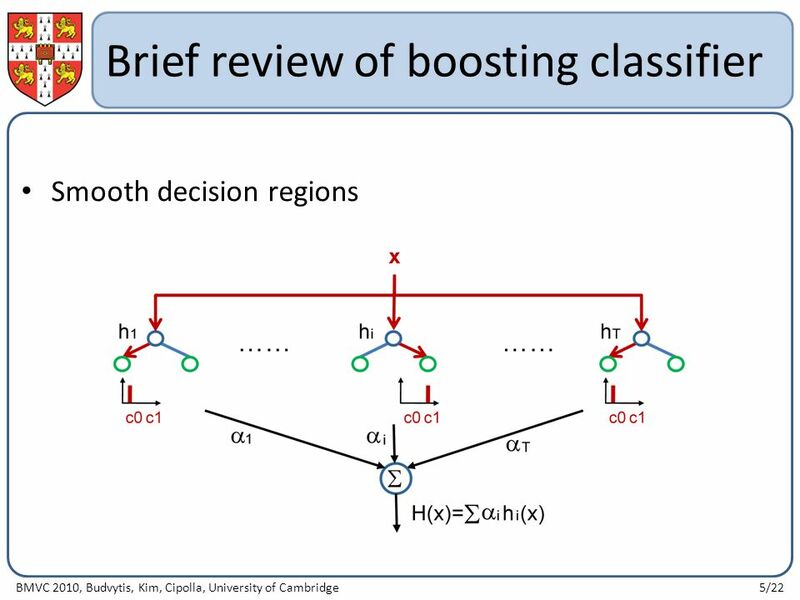 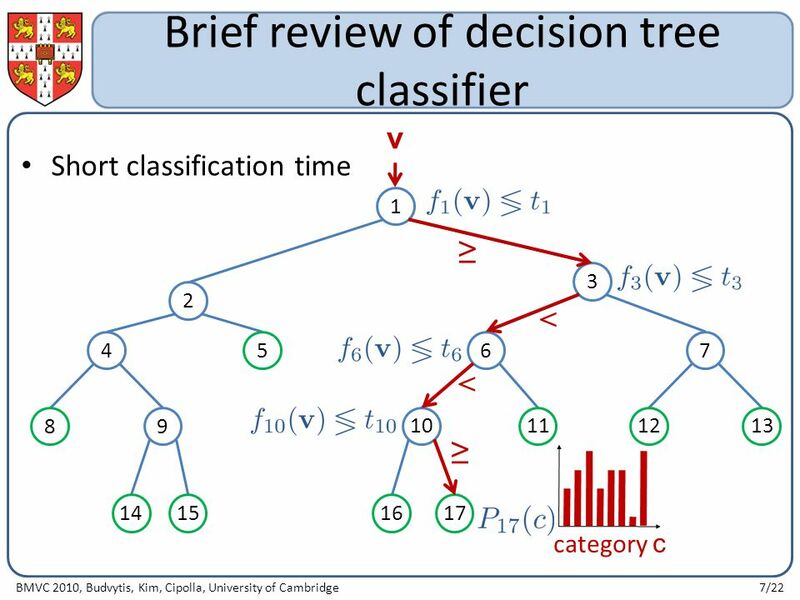 K-NEAREST NEIGHBORS AND DECISION TREE Nonparametric Supervised Learning. 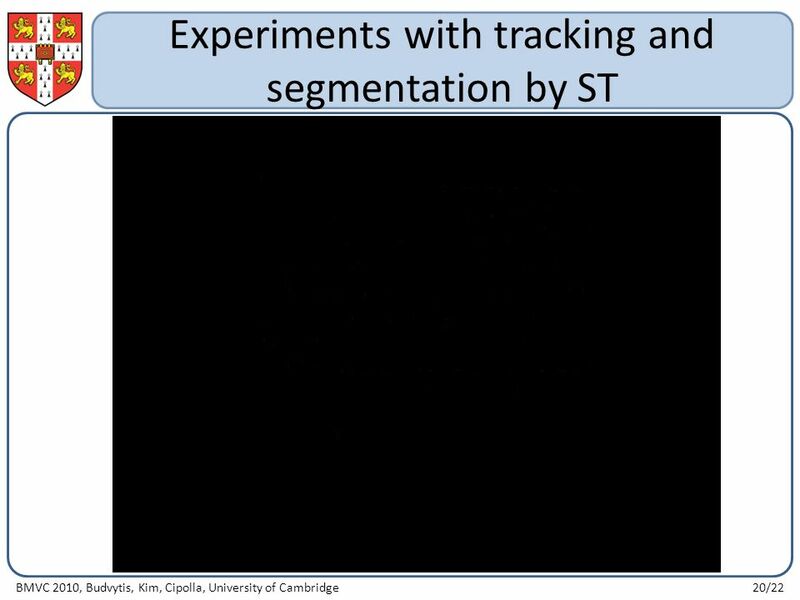 Silhouette-based Object Phenotype Recognition using 3D Shape Priors Yu Chen 1 Tae-Kyun Kim 2 Roberto Cipolla 1 University of Cambridge, Cambridge, UK 1. 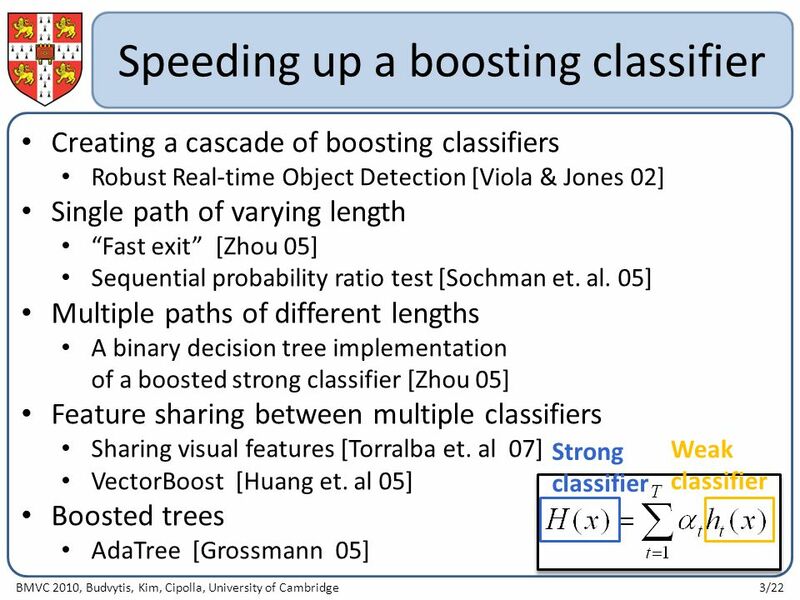 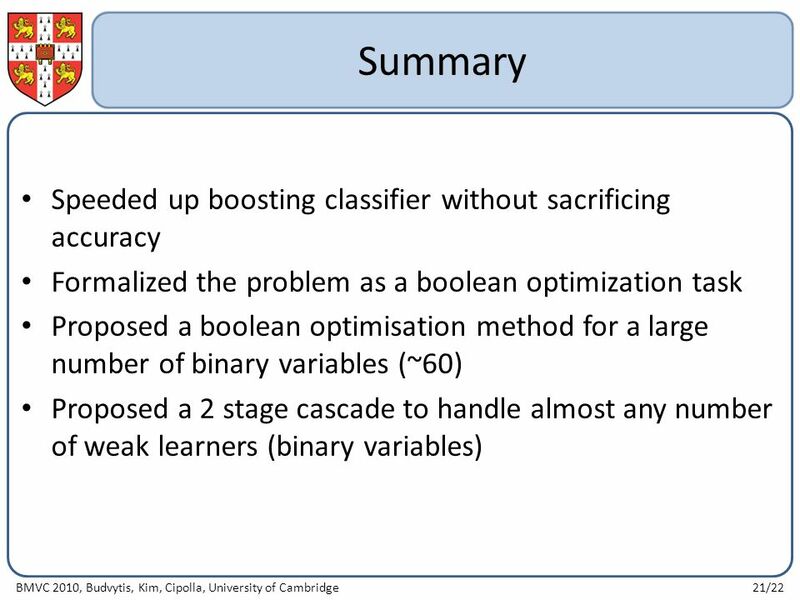 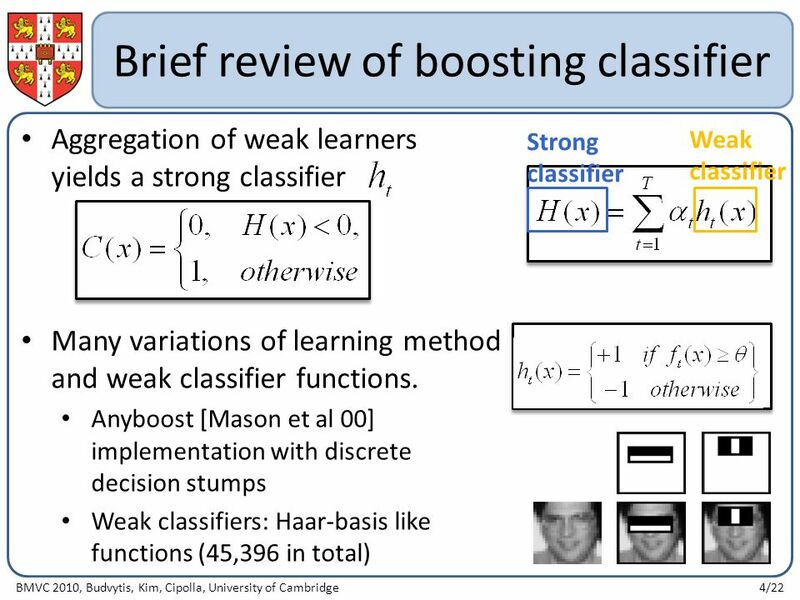 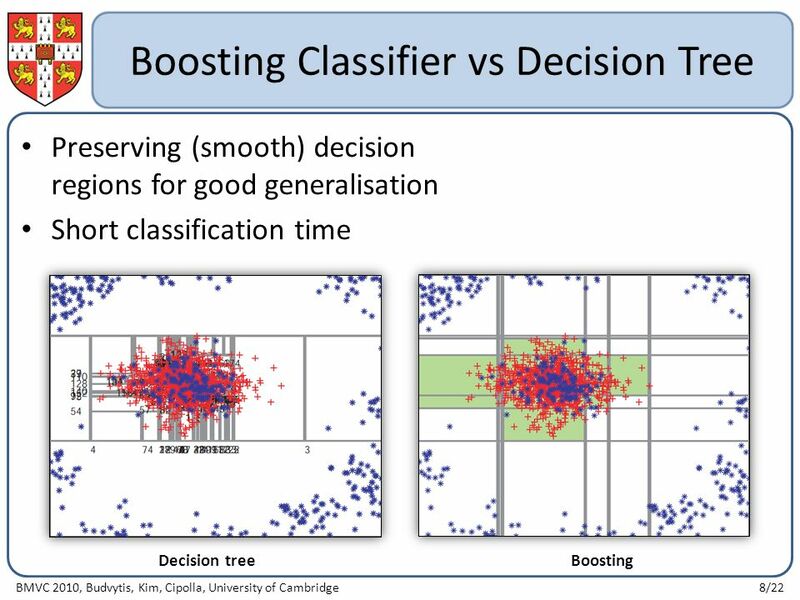 Online Multiple Classifier Boosting for Object Tracking Tae-Kyun Kim 1 Thomas Woodley 1 Björn Stenger 2 Roberto Cipolla 1 1 Dept. 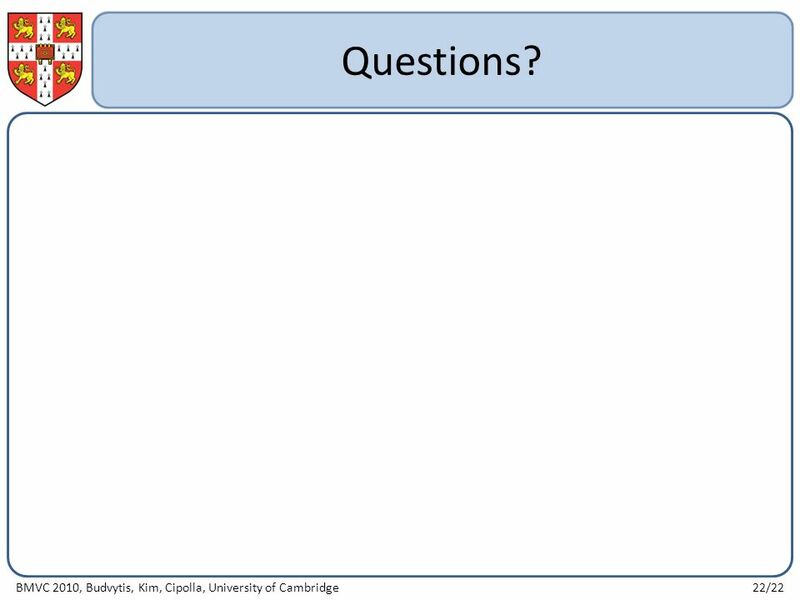 of Engineering, University. 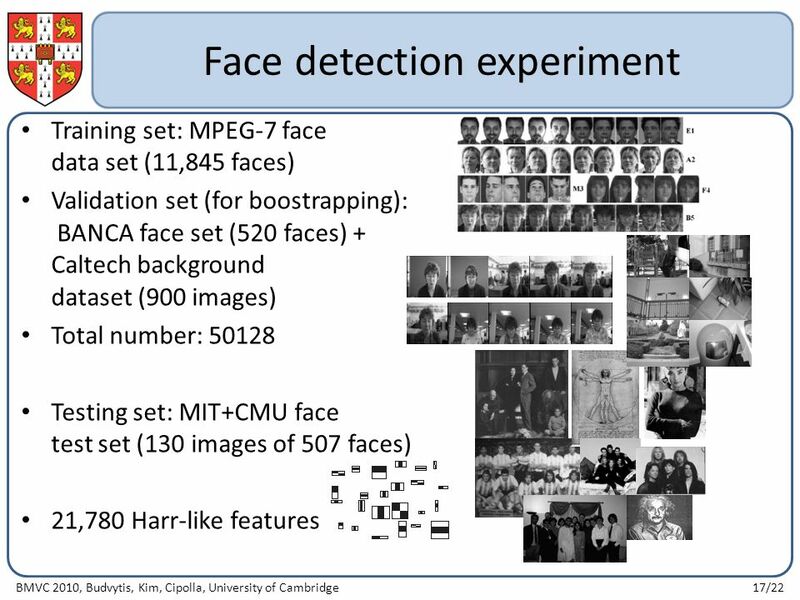 Face detection Many slides adapted from P. Viola. 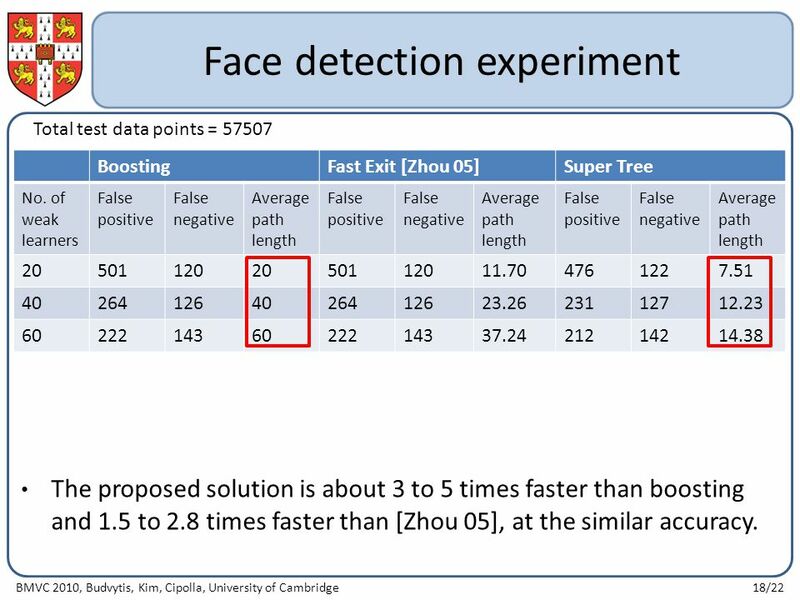 Contour Based Approaches for Visual Object Recognition Jamie Shotton University of Cambridge Joint work with Roberto Cipolla, Andrew Blake. 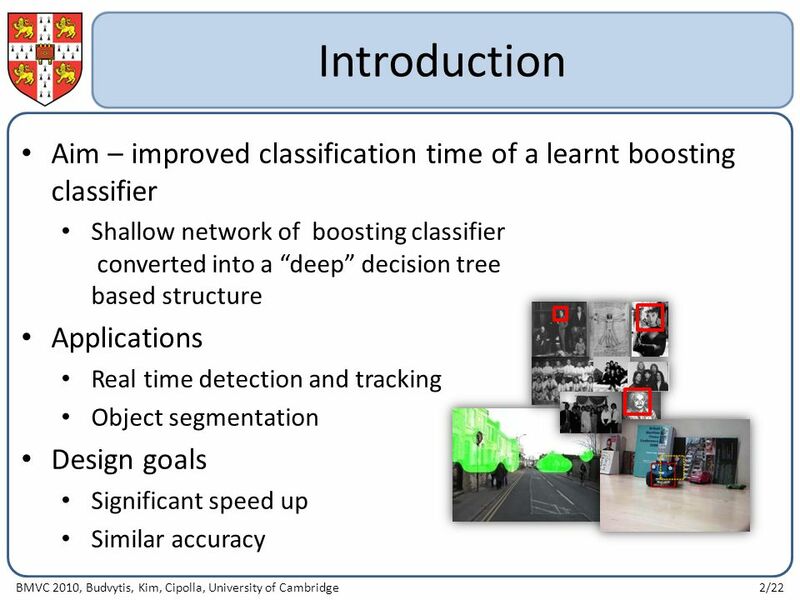 Robust Moving Object Detection & Categorization using self- improving classifiers Omar Javed, Saad Ali & Mubarak Shah.